Christianna Wood has deep experience in asset management and capital markets issues, including private equity, venture capital and alternative investments. She has served as the Chief Executive Officer of Capital Z Asset Management, the largest independent sponsor/seeder of hedge funds. Her responsibilities there included overseeing minority equity ownership in 11 hedge fund companies investing $7 billion in equity, fixed income, and commodity strategies. Prior to joining Capital Z, Ms. Wood was Senior Investment Officer of Global Equity for the California Public Employees’ Retirement System (CalPERS), with responsibility for CalPERS’ $150+ billion Global Equity portfolio. The Global Equity portfolio included domestic, international, emerging markets, hedge fund, and corporate governance strategies. Ms. Wood has also held senior positions at several other investment management firms. Ms. Wood Chairs the International Corporate Governance Network (ICGN) and speaks frequently on the ICGN’s behalf on issues concerning global corporate governance. She also serves, or has served, on the Board of Directors of the International Securities Exchange, H&R Block Corporation, Vassar College, Capital Z Asset Management, and Cevian Capital. She was a member of the User Advisory Council of the Financial Accounting Standards Board (FASB); the Standing Advisory Group of the Public Company Accounting Oversight Board (PCAOB); and the Consultative Advisory Group of the International Audit & Assurance Standards Board (IAASB). 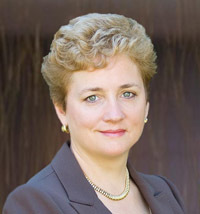 In 2010, she was the Commissioner of the Blue Ribbon Commission on Performance Metrics of the National Association of Corporate Directors (NACD). In 2010, Ms. Wood was named one of the 100 Most Influential People in Business Ethics (by Ethisphere Institute) and one of the 100 Most Influential People in American Corporate Governance (by the NACD). Ms. Wood provides advisory services to investment managers, corporate clients and law firms nationwide. Her expertise includes, but is not limited to, investment management, alternative investments, corporate governance, risk management, portfolio construction, and the seeding, sponsorship and strategic investing of hedge funds and emerging managers. In addition, Ms. Wood is a frequent speaker on the topics of global corporate governance, executive compensation, emerging manager and hedge fund sponsorship, and global equity management. She has testified both at deposition and at trial.